Quick question... who knows that this song was co-written by Terry Hall with Jane Wiedlin? Also, how many out there like the Fun Boy Three version better? Just me? OK, then ;). This entry might feel strangely specific, but that's literally because we just did our retro and these were top on my mind, so lucky you, here are three peeves I'm trying to cope with (I'm not going to completely tattle but they do work into some areas I'm hoping to resolve shortly). 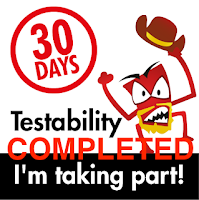 Click the following link for the full "30 Days of Testability" list. 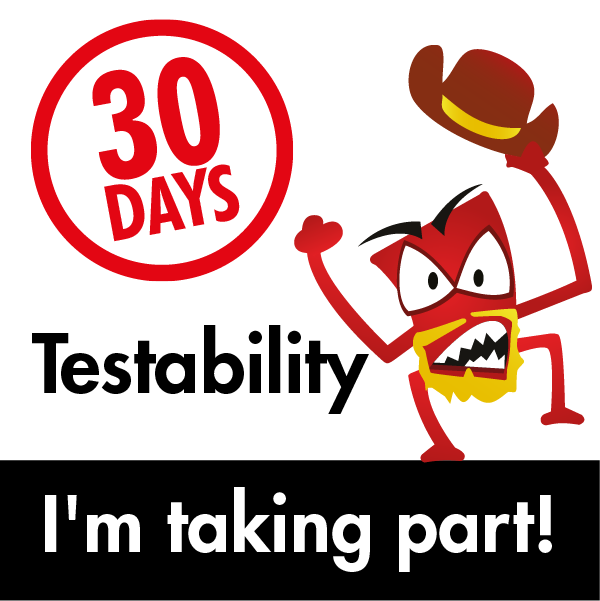 Note the top 3 challenges you have while testing and raise them at the team retrospective. 1. Struggling to deal with an aging platform. I've talked about this in the past and I don't think this is any type of surprise, but when Socialtext was initially developed, it was written in Perl. For a time, I think that Socialtext may have had some of the premier Perl programming talents in the world (that's not hyperbole, the fact that Audrey tang was our principal engineer actually makes that true). However, in the past few years, Perl has lost a lot of its position as a go-to language and turnover has made it so that the Perl expertise we used to have is significantly less. Thus we are migrating to newer languages and infrastructures. It's going to take awhile. 2. 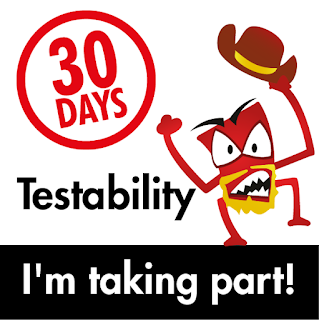 Mobile testing in an effective way. This is my current struggle and one that I am actively investigating. I have a host of mobile devices that I am currently using but they are aging and we don't have the budget to replicate my setup for every tester. I actually like BrowserStack as a solution. I'm in the process of lobbying for it since it has a large and ever-expanding battery of devices available without having to dedicate to physical resources. 3. Making naming conventions for modules more consistent. This is mainly for automation purposes and to the engineering team's credit, it's something we've done well with new development. 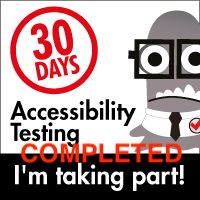 However, there's still a fair bit of older code that is in need of updating, so that's n area I' like to see us spend some time with (and yes, I'm willing to help roll up my sleeves to make that happen :) ). There are other things I could mention but again, I like my job and thus there's a limit to stuff I can talk fully openly about.